Samford University’s Brock School of Business’ Professional Selling course was recognized by the Sales Education Foundation as a notable program in its just released 2015 Annual magazine. University sales programs are recognized for building sales curricula that prepare students for careers in professional selling and help elevate the sales profession. 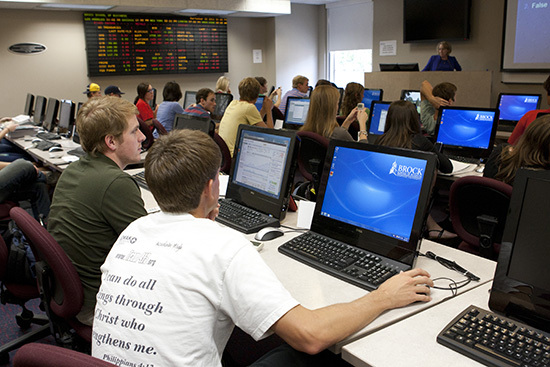 Beginning with the fall 2015 semester, the Brock School of Business will offer a sales concentration to all business students for the first time. The Professional Selling course is the foundation course of the new curriculum and is complemented by Customer Relationship Management, Entrepreneurship and other business courses that round out a comprehensive sales education. All Brock School professional sales students are required to complete a 150-hour sales internship in which they gain real world selling experience. Sally Stevens, executive director of the Sales Education Foundation, noted that companies should have an increased focus on partnering with the universities listed. “Top sales organizations should consider developing partnerships with these universities who are educating the next generation of professional sales people,” she said in the 2015 Annual Letter from the Editor.